Internship Week is almost Here! 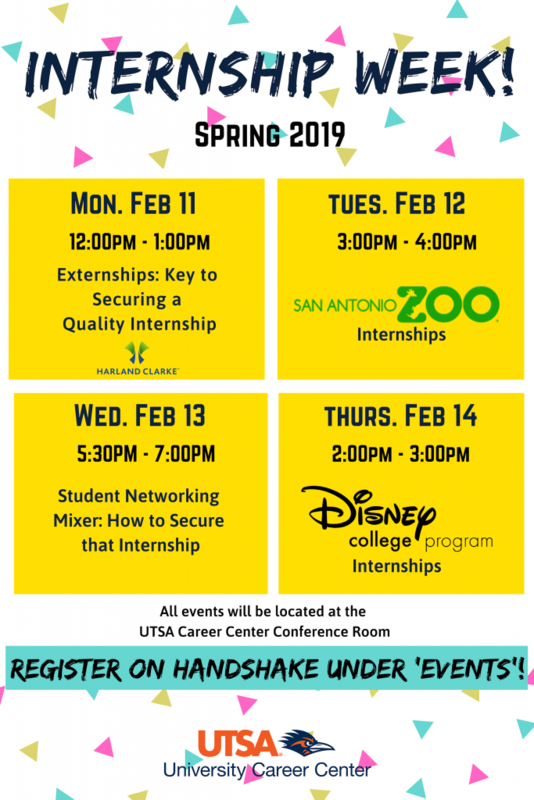 The UTSA Career Center is excited to host Spring Internship Week February 11-14th at the UTSA Main Campus! Join us for internship exploration, preparation, and networking with students and employers! If you haven’t signed up yet, reserve your spot today on Handshake. Guest appearances from Rowdy and Ms. UTSA!